Crisp apple and fresh mint laced with warm, spicy cinnamon and beautiful tones of rich rye whiskey. What does beautiful tones of rich rye whiskey taste like? 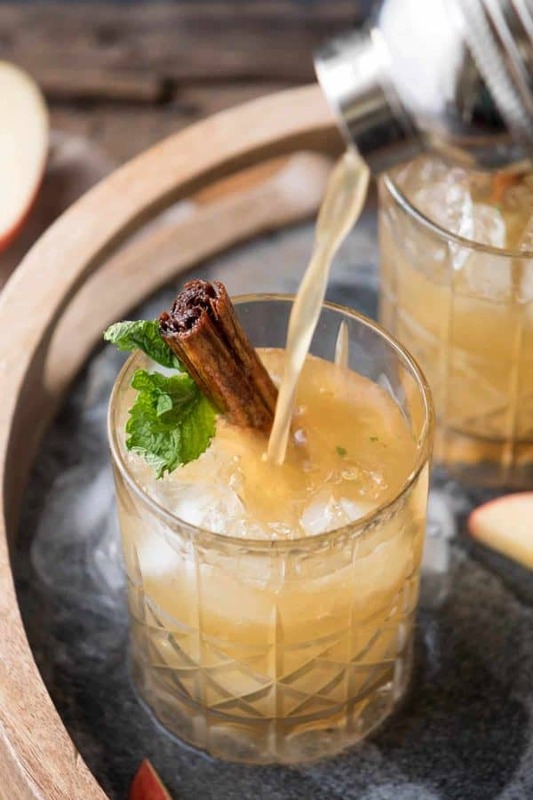 Well, besides warm hugs and chilly fall day snuggles, you’re sure to find out in this Apple Cinnamon Whiskey Smash. Note: Some of the ingredients for this post were provided by WhistlePig. All thoughts and opinions are my own. 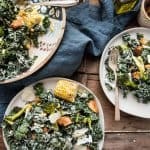 I hope you love this delicious fall cocktail! The chill of November has officially settled in this week. Most of the color is drained from the fall foliage and the leaves are starting to fall and collect, crunching under foot. Break out the scarves and hats. It’s time to bundle up! Still feeling that chill when you walk in the door? Here’s just the thing you’re going to need. 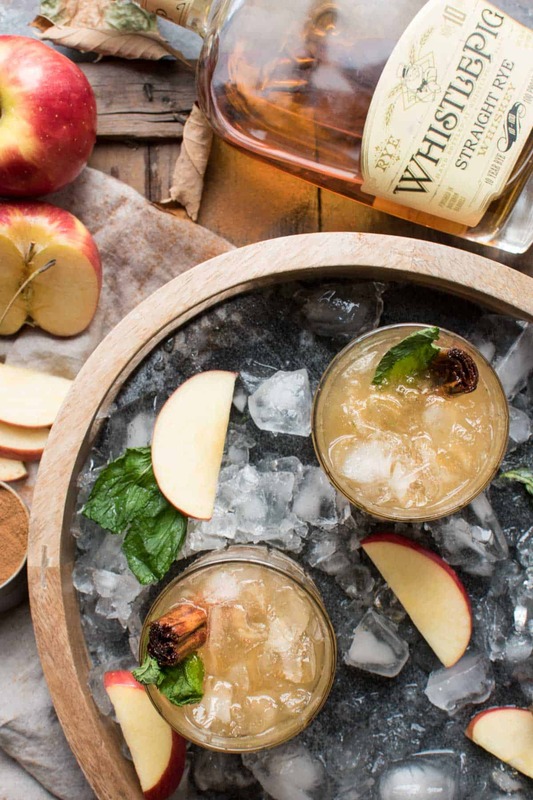 These Apple Cinnamon Whiskey Smashes are going to thaw you from the inside out. Just as important when cooking, the end result of your efforts will be affected by the quality of product going in. When an opportunity to play around with this WhistlePig Straight Rye Whiskey presented itself, I showed up like the first person in line for the iPhone X. While straight liquor on the rocks is typically not my scene, this 10-year aged whiskey is so smooth and easy drinking it toes the line of too easy to enjoy on it’s own. But we’re taking it to the next level, because, why the heck not right? Before we put on our denim mixology aprons, let’s talk about this rye whiskey real quick. It received 96 points from Wine Enthusiast. Hello! 96 points. Go on and brush those shoulders off WhistlePig. Aged 10 years in new American Oak with a bourbon barrel finish, this straight rye whiskey takes on flavors of vanilla and caramel with just a touch of mint on the finish. Wait, wait, wait…flavors of vanilla and caramel with a touch of mint. Well it looks like we’re just going to have to pair up those flavors with the fresh mint, sweet caramel of cider and warm spice of cinnamon now aren’t we? 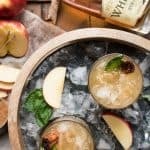 The whiskey smash is a cocktail that’s been around for ages, making it’s comeback over the last few years. Never going out of style, but as Americans have reignited their passion for whiskey and bourbon it’s been creeping across cocktail menus throughout the nation. A traditional whiskey smash is a little fruity, a little minty and a little sweet. 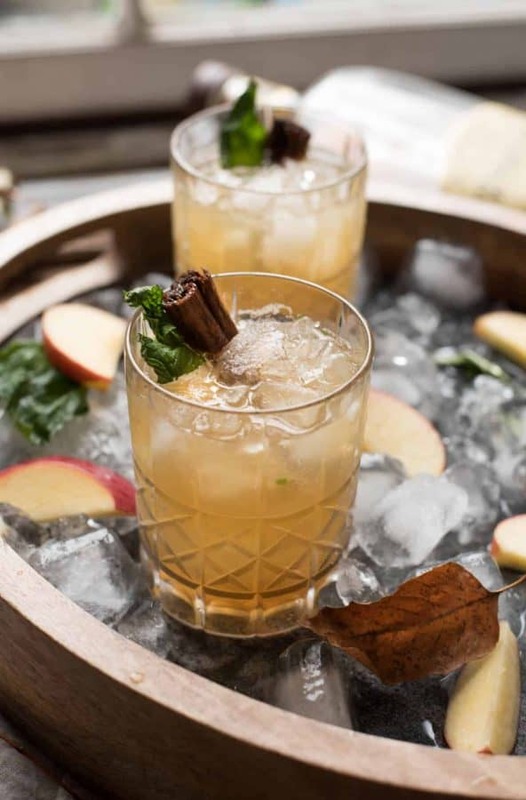 These standards will carry over in our Apple Cinnamon Whiskey Smash with fresh sweet apple, a splash of tart lemon juice, fragrant fresh mint and spicy, warm cinnamon simple syrup. 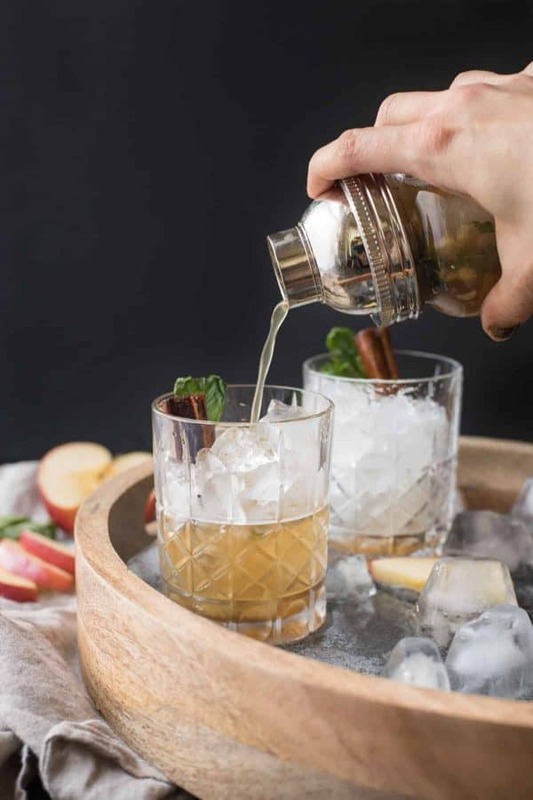 If preparing a single drink, ‘smash’ three slices of sweet style apple like a Honeycrisp – or my new favorite that’s just arriving to the Boston area from Washington State, Autumn Glory Apples – and mint. To ‘smash’ the ingredients really well, add an ice cube while you’re muddling. 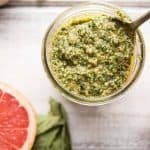 This will help to mash the ingredients in the shaker versus just bruising them and will bring out more flavor. 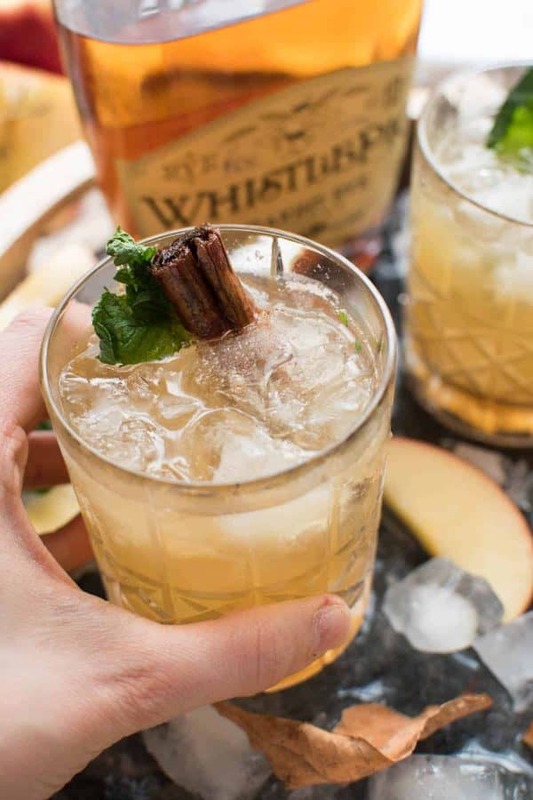 Pour 2 ounces of WhistlePig 10-Year Straight Rye Whiskey, 1 ounce of fresh apple cider, 1 ounce of cinnamon simple syrup and a splash of lemon. How much is a splash? If you’re in the “No, I Don’t Work With Dashes, Splashes or Pinches Club” try about 1/4 of an ounce. If preparing a batch, just multiply the ‘parts’ by however many drinks you want. A whole apple will cover you for up to 4 drinks. Then just prepare as you would for one drink and strain into a pitcher. Two drinks will typically fit in one mixing tin. 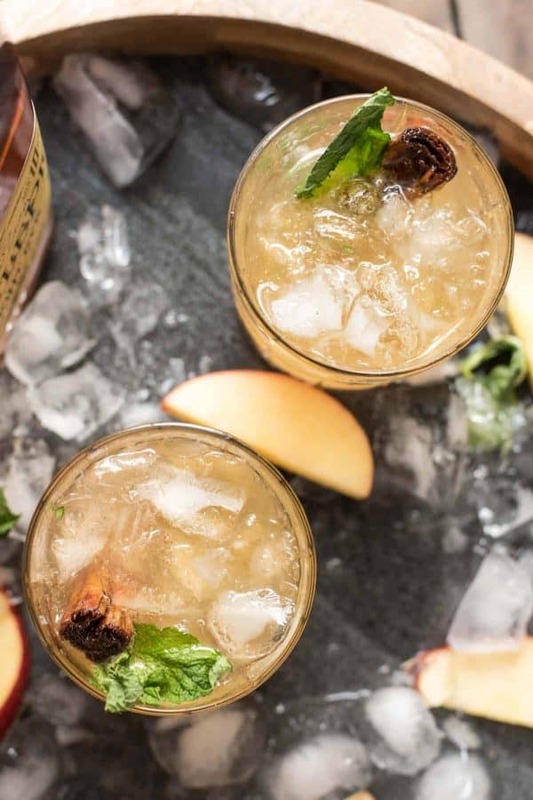 Lastly, serve these fruity, sweet and pleasantly strong Apple Cinnamon Whiskey Smashes over crushed ice. Don’t have a crushed ice machine? Oh, it’s okay, me either. But I do have plastic zip bags and a meat mallet. Crushed ice and a little stress therapy are just a few mallet smashes away. You can repurpose the cinnamon sticks from the simple syrup as a garnish or break out fresh ones. While you’re preparing your turkey or dreading Aunt Rita asking you yet another year if “You’re the Doctor?” in the family, at least you can toast the holidays with your family favorites and these Apple Cinnamon Whiskey Smashes. 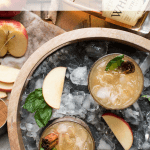 Smooth, refined 10-year aged rye whiskey meets enhanced fall flavors in this balanced New England take on the whiskey smash featuring WhistlePig 10-Year Straight Rye Whiskey. Add Whistle Pig 10 Year Straight Rye Whiskey, cinnamon simple syrup, cider and lemon to shaker. Fill the shaker 3/4 of the way with ice. Shake vigorously for 8 to 10 seconds. Strain into a high ball glass with crushed ice. Garnish with cinnamon stick and mint leaf. In a small saucepan, stir together sugar, water, cinnamon sticks and ground cinnamon. Bring to a boil over high heat. Reduce to low and simmer 15 minutes. Remove from heat and let steep with cinnamon sticks 10 minutes. Parts are equivalent to ounces. 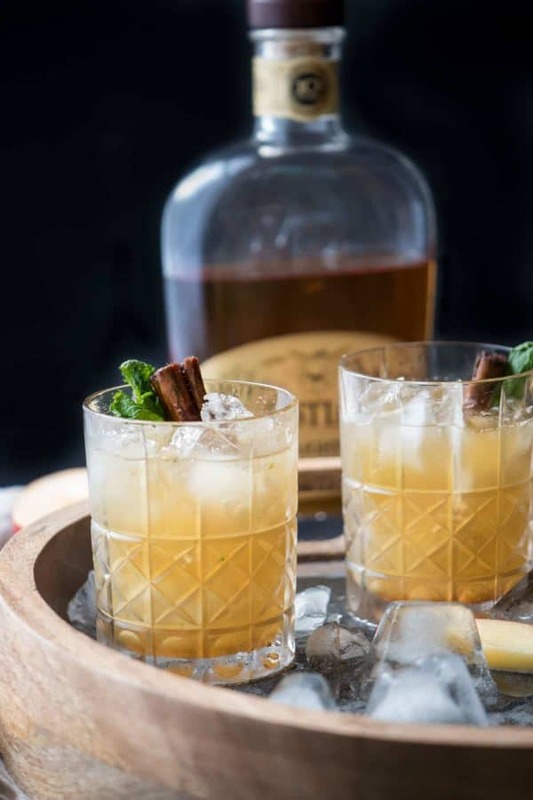 For one cocktail, add 2 ounces of whiskey, 1 ounce of cinnamon simple syrup and 1 ounce fresh apple cider. For batches, multiple parts x the quantity of drinks you want. e.g. A batch of 4 drinks will be 8 ounces of whiskey, 4 ounces of cider, and 4 ounces of cinnamon simple syrup. My mouth is watering! This sounds amazing. 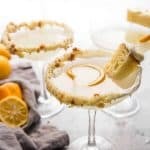 I am hosting Thanksgiving this year and this drink would be a hit with our crew! I need this right now, haha. For real. Looks so good and refreshing! Also, love the photography. This sounds like an amazing seasonal cocktail! I love your photos, too! Okay Now I can’t wait to try this! this is SO pretty!!!! Love love love how fall-like it is! I’m definitely going to pin this for later, I think my husband would love it! Yay! Bring on the fall cocktails! This sounds delicious! If this isn’t the perfect fall cocktail, I don’t know what is! It’s impossible to go wrong with apples and cinnamon! This is the holiday dring of my dreams! I am a whiskey girl and just looking at the list of ingredients puts my in a holiday mood! Love the pics as well! This looks amazing!! I don’t drink much, but this is making me want to try this one. Your photos are gorgeous! This is the perfect Autumn drink! 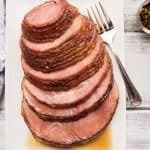 This is a great drink for holiday entertaining, so easy to batch it up too. 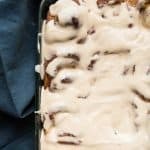 Apple and cinnamon is a match made in heaven! This drink is just perfect for this time of the year. These pictures are BEAUTIFUL!! This Apple Cinnamon Whiskey Smash looks FANTASTIC!! I am going to make this for our next dinner party. If Fall were a drink I would call it this Apple Cinnamon Whisky Smash! It is what Fall drinks are all about! Yum! I love whisky cocktails. So satisfying and delicious. And who doesn’t love apple with cinnamon?